Below, in advance of the screening on April 13th (click here for ticket details), our editor Chelsea Phillips-Carr discusses the ways in which these existential tensions present themselves in three of the films featured in the program. What does it mean to be defined by someone else? In most Western tellings of history (both in film and otherwise), one voice has been privileged above all others, a voice which is white, male, straight, cis, western, able-bodied. As such, marginalized peoples have been constantly interpreted by this white heteropatriarchal gaze. This year at the Images Festival (April 11th-April 18th), cléo journal will co-present Notes on Being. 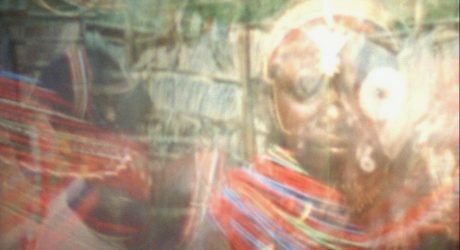 The program, featuring ten films by nine artists, looks to challenge the gaze which dominates western cinema, fiercely bringing the question of representation to the forefront. The earliest film in the program is Chantal Akerman’s debut from 1968, Saute ma ville. In it, Akerman stars as a young woman who rushes to her apartment to begin chaotic domestic work. Her actions are voracious: she throws pots and pans from the cupboards while cleaning, she dumps a waterfall of soapy water onto her floor to mop, she cooks—then devours—pasta, and she polishes shoes so rigorously she blackens her white socks and bare legs. 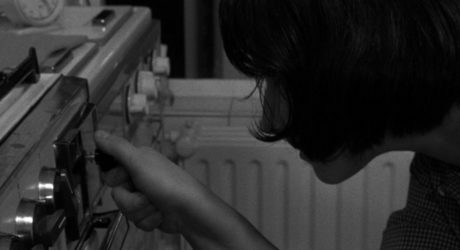 Akerman exhibits an immense energy and joie de vivre in her domestic tasks, which ironically culminates in her lighting some papers on fire, turning up the gas on her stove, and blowing herself up. 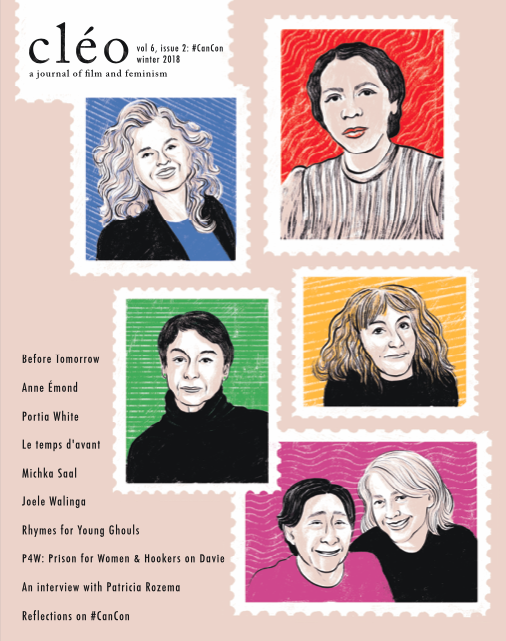 A precursor to Jeanne Dielman, Akerman’s first short is an elaboration on women’s labour. She invigorates the domestic, bringing life to unseen work, while also pairing these actions with violent self-destruction. Taking the representation of gendered labour into her own hands, Akerman crafts a film that pierces through the banality of ‘women’s’ work—explosively subverting its mundanity. 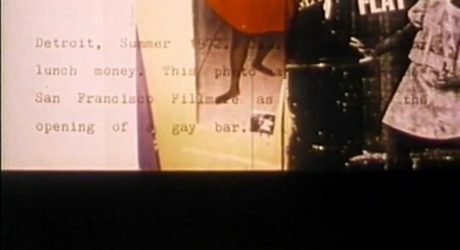 In Christopher Harris’ Halimuhfack (2016) the voice of author and anthropologist Zora Neale Hurston is lip-synced by an actor. With a backdrop of footage of Masai tribespeople from archival educational films, we hear Hurston discuss her documentation of African American folk songs. Where Akerman depicted an inverse of the traditional conception of gendered labour, Harris presents a total disruption of possible representation. The actor, exaggerated and out of sync with Hurston’s speech, takes up the author’s persona while being brashly inaccurate. We are made to consider how representations are constructed. Hurston, as a Black American anthropologist, is set against footage of anthropology from a white gaze, but Hurston’s depiction is one of melodrama. Media which posit themselves as inherently truthful (e.g documentary footage, archival recordings) are purposely manipulated, exposing the subjective nature of art. In order to question how we might interpret peoples and cultures, Harris outright ruptures representation as a concept. Looking to the more personal, Cauleen Smith challenges self-identity in Chronicles of a Lying Spirit (by Kelly Gabron) (1991). Over top of images and text, a man and a woman’s voice narrate the imagined biography of Smith and her alter-ego, Gabron. The male voice, flat and stark, speaks of the artist; the female, relaxed and echoing, speaks of herself. Smith brings forth a male gaze to challenge it directly, and forcefully. As the two voices talk, they become intertwined, dropping in and out of focus as they speak over each other. Smith demonstrates the difficulty in defining oneself when outside sources are trying to do that work for you. The biography repeating twice in the film, Chronicles allows us to dwell on the concept of subjective identities. With a wide range of perspectives, Notes of Being is just that: a look at what it means to be. From the perspectives of marginalized artists, we are asked to consider how we are constructed, and by whom. Taking issue with the veracity of film for its oppressively dominant gaze, Notes on Being suggests new ways of existing cinematically.